Want to make a Pizza? 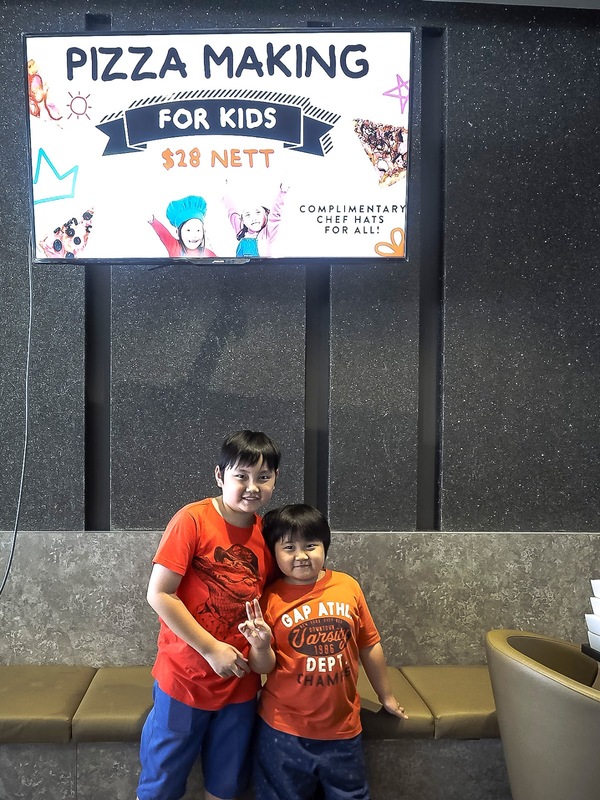 Pizza is probably the favourite food for 99.99 % of kids if they have their way. The Wacky Duo are no exemption, they love to eat Pizza and love it even more to make it themselves. In fact we had attempted our own homemade Pizza in the past. 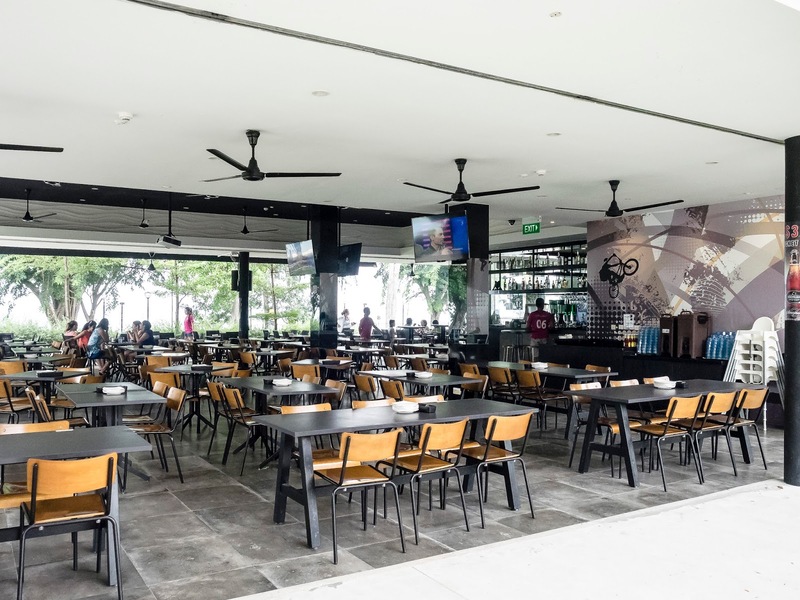 Thus when the invitation for Pizza making workshop comes along from Atmosphere Bistro and Bar @ East Coast Park, we simply could not resist. 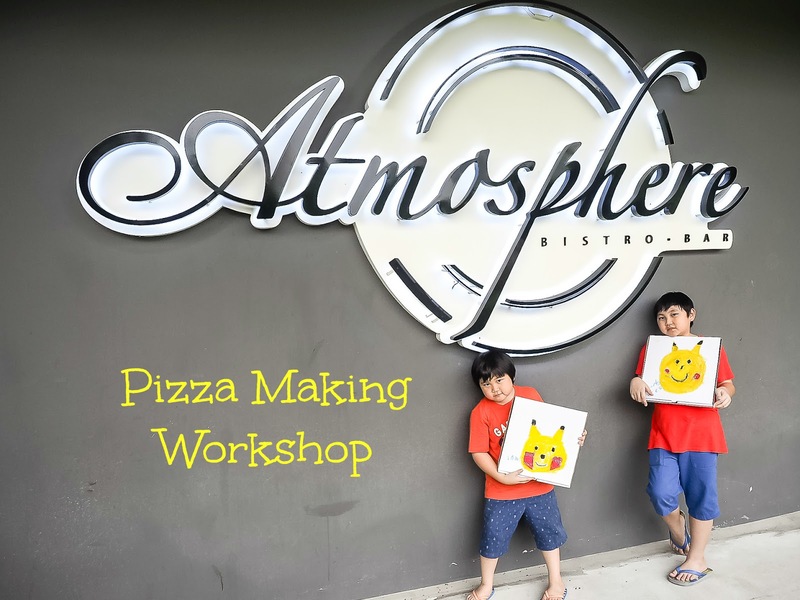 This is the first time Atmosphere Bistro and Bar is holding Pizza Making Workshops. The workshops will be on selected weekend dates. The Pizza Workshop we attended was slightly different from past events. 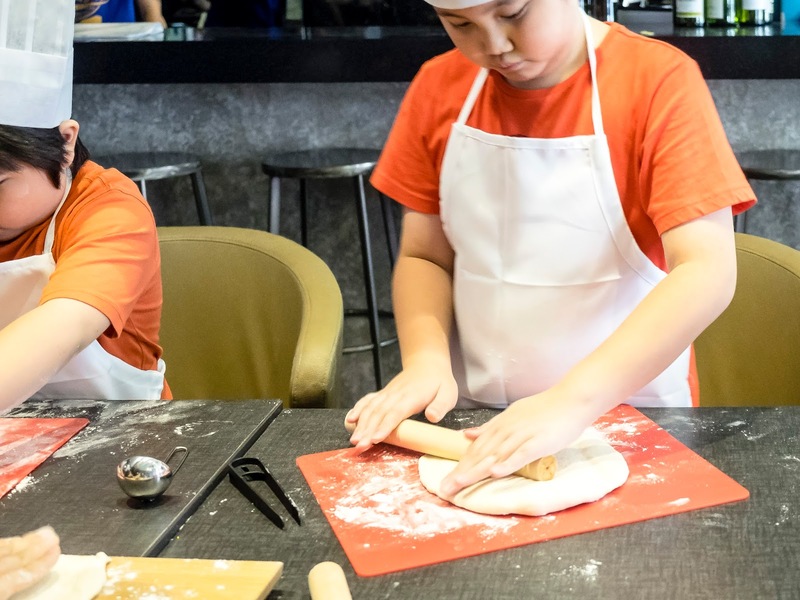 For this pizza making workshop, we had to prepare the Pizza from scratch! This meant we can share with you how Pizza is made. 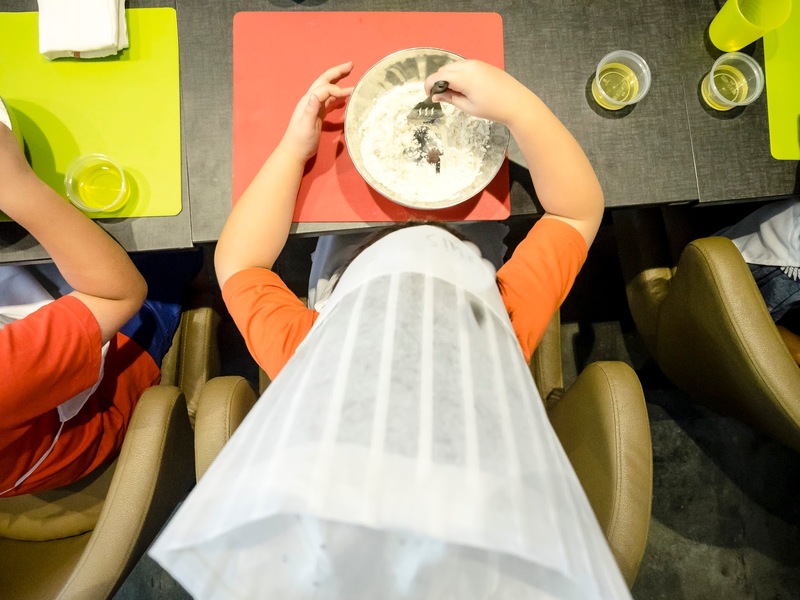 Using a large mixing bowl, combine the flour and Salt . Pour a mixture of yeast, water and olive oil into the mixture. This is probably the part where kids need to do the hard work. Knead the dough for a few minutes to get the dough ready. Rest the dough mixture thereafter. It will take quite a while to rest it but Atmosphere got us covered with ready rested dough to continue our Pizza Making session. 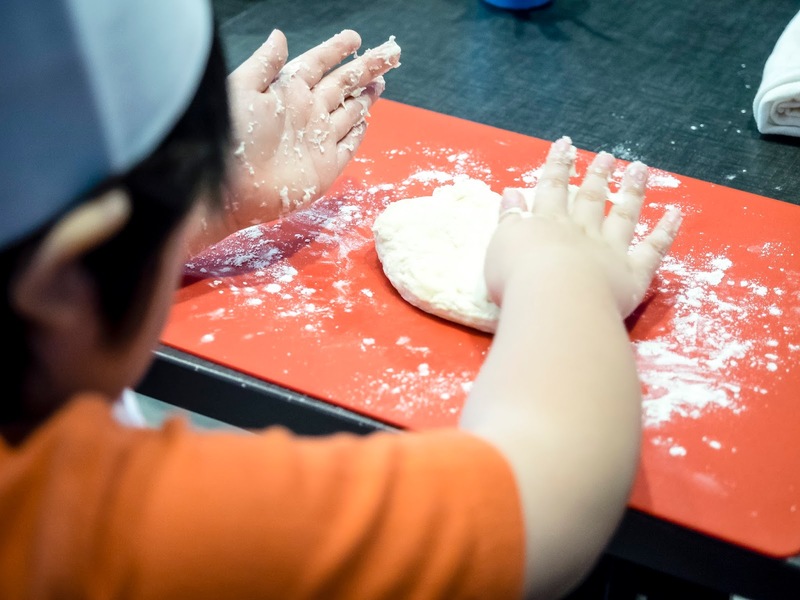 When the dough is ready, stretch the Dough to get them into your desired shape. 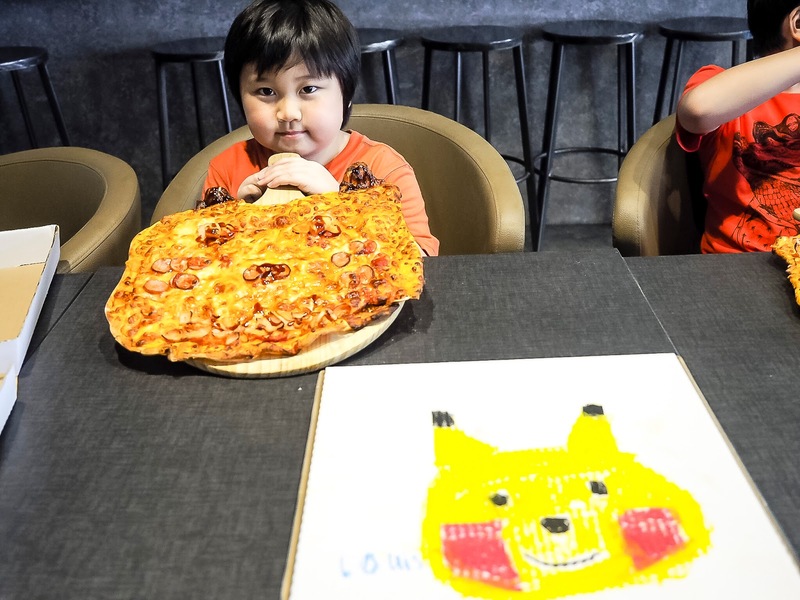 Since this Pizza Making workshop was meant for the kids to be creative, the boys decided to create their own Pikachu inspired Pizzas. Once your pizza is ready, feel free to chose your own toppings. Once you are ready, the pizza will be bake for about 10-15 minutes and viola, it's ready to go! If you want to see more of the Pizza Making Workshop, check out our video above! 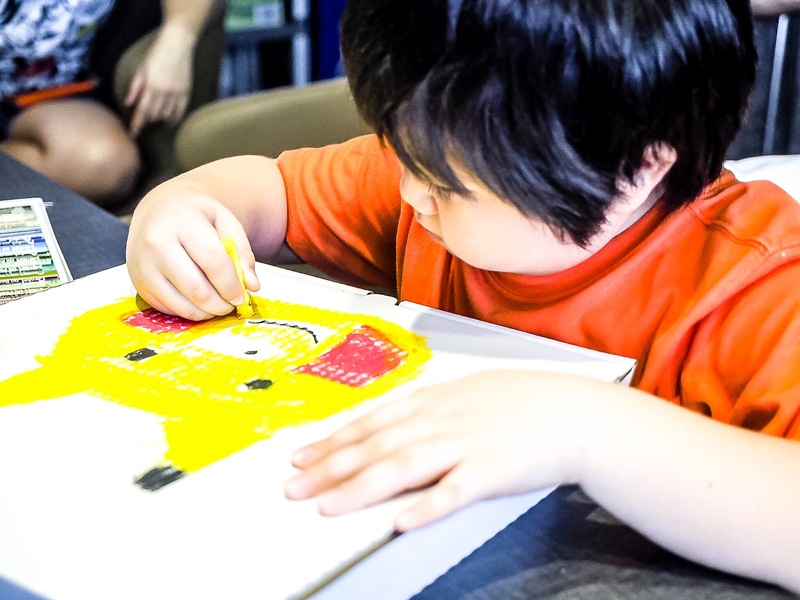 During the waiting period, the kids are task to design their own Pizza boxes. I got a feeling that their Pikachu boxes would be a hit... if they could get it licensed! 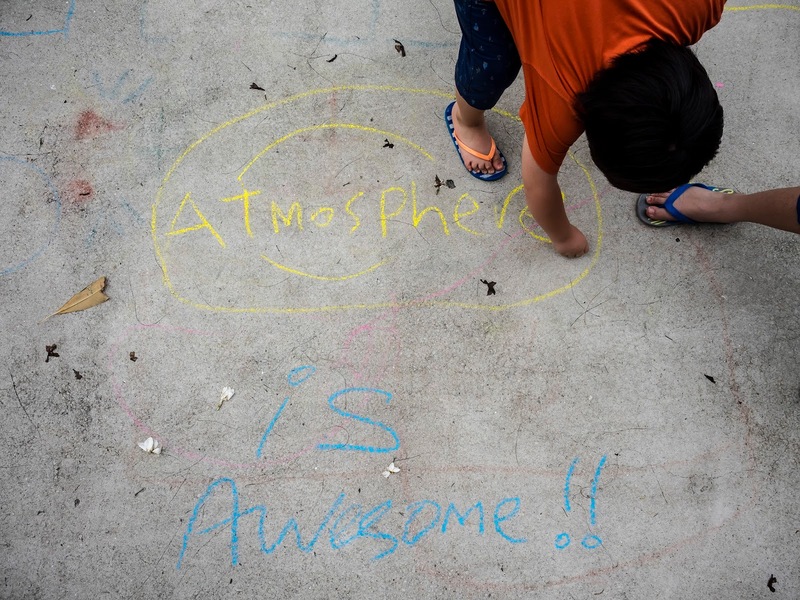 As much fun as they had designing the boxes, the boys had more fun chalk writing on the pavement outside Atmosphere as part of the activities while waiting for the Pizzas to be ready! Overall it was a great way to spend a lazy Sunday for the boys. 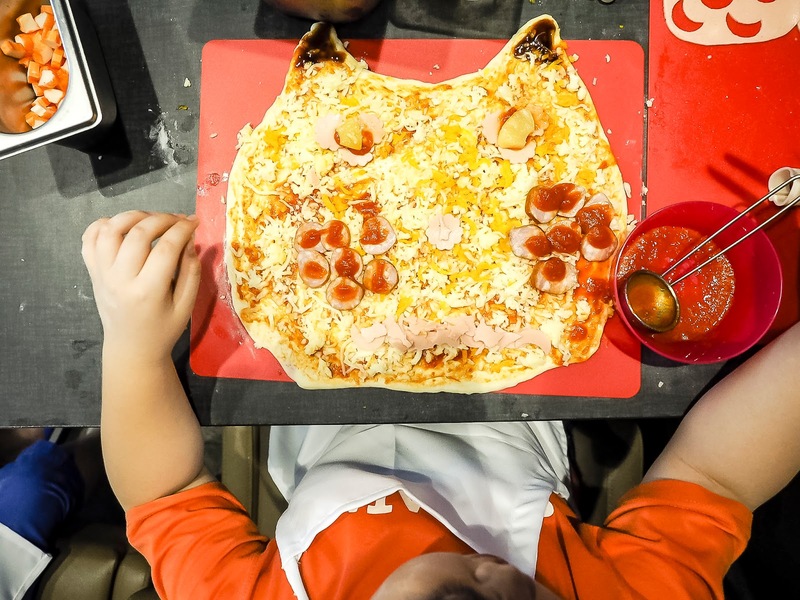 The Pizza Making Workshop is available on 10 and 18 Dec. Each registration is at $28 per pax. This includes a free chef hat and the Pizza you made. Details of the Pizza Making Workshop can be found here. 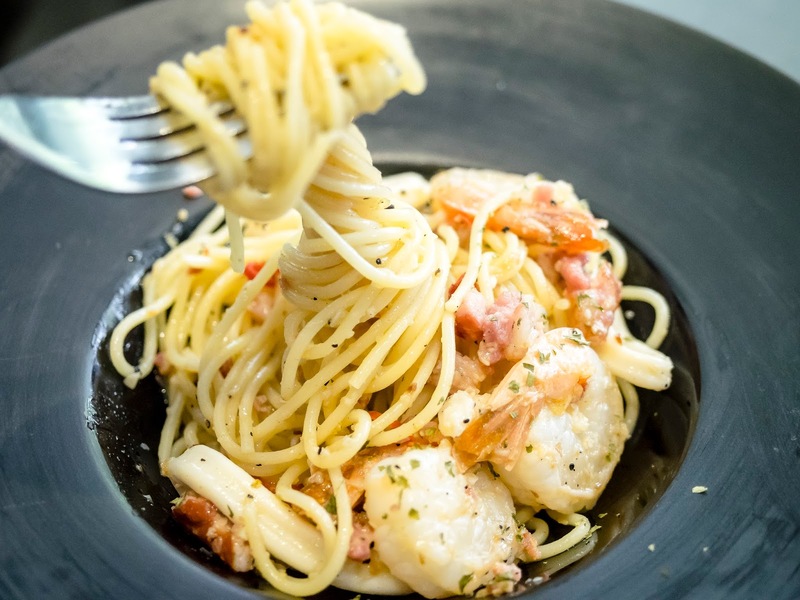 While the kids are having fun, parents can relax and have a meal at Atmosphere. The spaghetti is worth a shot. 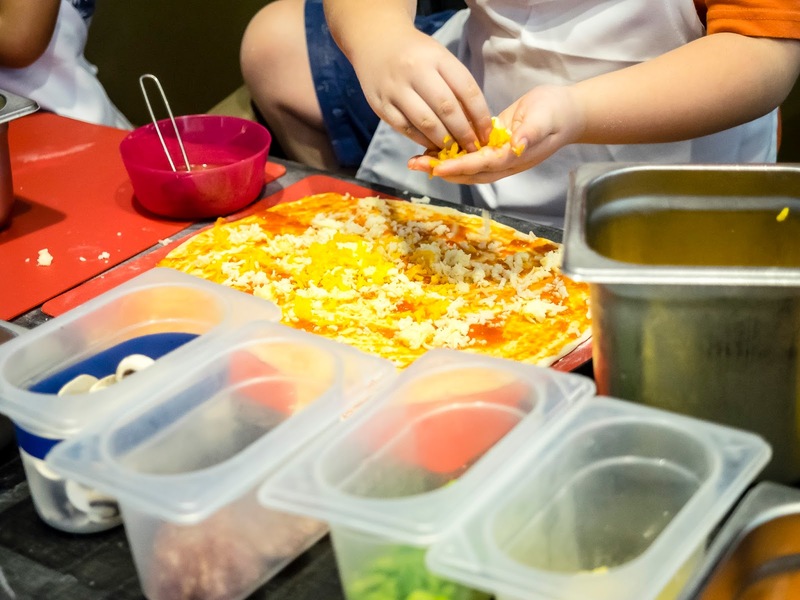 If your kids are big enough , leave them at the capable hands of the chefs from Atmosphere . 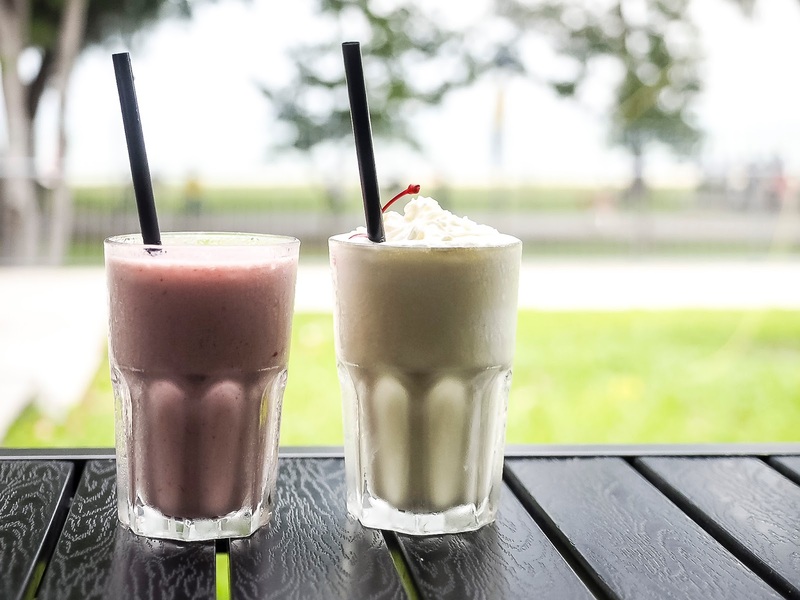 Have a drink and enjoy the sea breeze !